When you get out of bed in the morning those first few steps can be absolute agony! It feels like there is a damned knife being pushed through the bottom of your foot. After dealing with that for a while it starts to hurt all day, every time you get up to walk. Then eventually every step of every day becomes painful and you wonder if it’s starting to affect your sanity! Foot pain is a very common musculoskeletal problem that develops in patients and is most commonly referred to with the blanket term of “plantar fasciitis”. 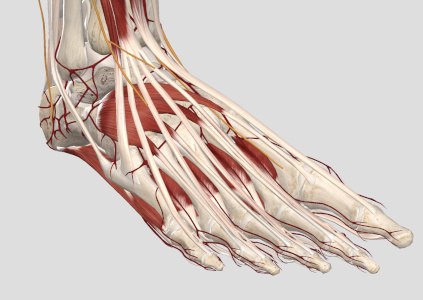 But the fact is this: if you have developed foot pain over a period of time, there’s very little chance that your problem is restricted only to inflammation in the plantar fascia. Let’s think about it seriously for just a minute. 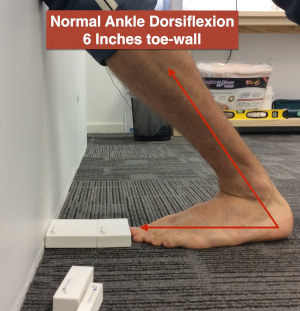 The question is: “Why has your foot become injured and painful?” The answer in 100% of cases is too much work load. Whenever the work that a tissue is asked to do exceeds that tissue’s capacity, damage and injury occurs. The underlying question here becomes: “What is causing your foot to become overloaded?” We have stopped thinking of the pain itself as the problem and are now looking for why the pain is present in the first place. It’s a massive difference and will be the difference between getting your problem fixed and living in pain while it continues to worsen. 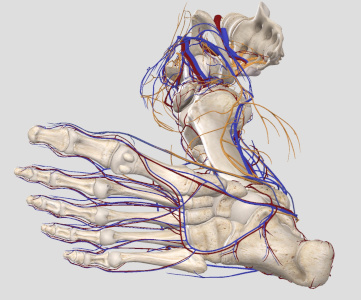 This basically means that something from your toes, foot, ankle, knee or hips aren’t doing their job completely and most commonly it is a combination of limited function across two or more regions combined with muscle weakness. What are you to do with your painful foot? It needs a comprehensive workup by a professional. Without a full case history, a carefully selected and expertly administered physical examination and an interpretation of the data, you will be guessing at the cause. The only way forward is to start by getting your diagnosis and Soft Tissue Solutions is the top clinic in the South West to get this done. Give our clinic a call and get booked in for your first appointment, let’s start the process of getting your life back!